The playful Pip personal laptop table contributes to a warm, residential ambience, bringing a light and whimsical—yet functional—feature to the work environment. 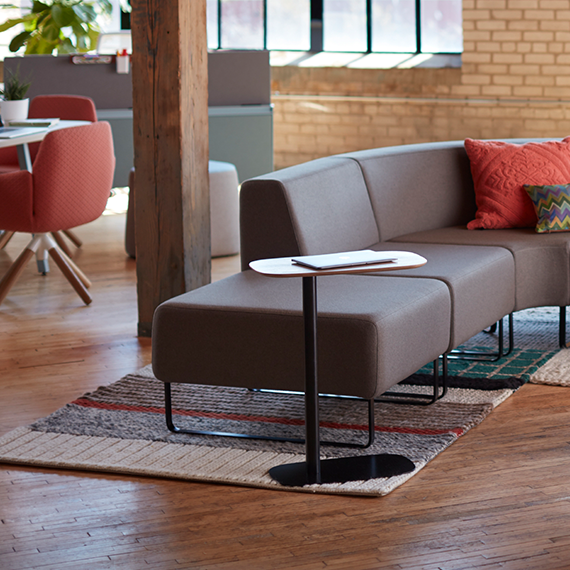 Pip complements lounge seating to address a variety of workstyle needs. It can be easily moved when you need a solid worksurface for a short duration. Use it in a wide array of settings, including corporate workspaces, hospitality environments, dorm rooms, student lounges, and at home. 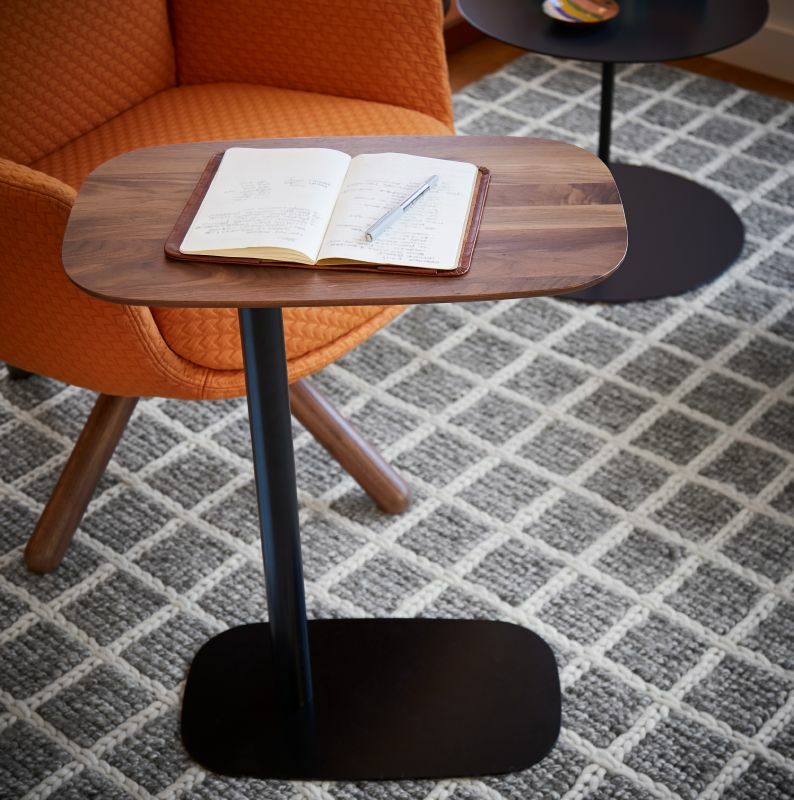 Unlike attached tablet arms, the Pip table is a separate surface that can be placed wherever you need it. Lightweight and easy to maneuver, Pip is as efficient as you are. 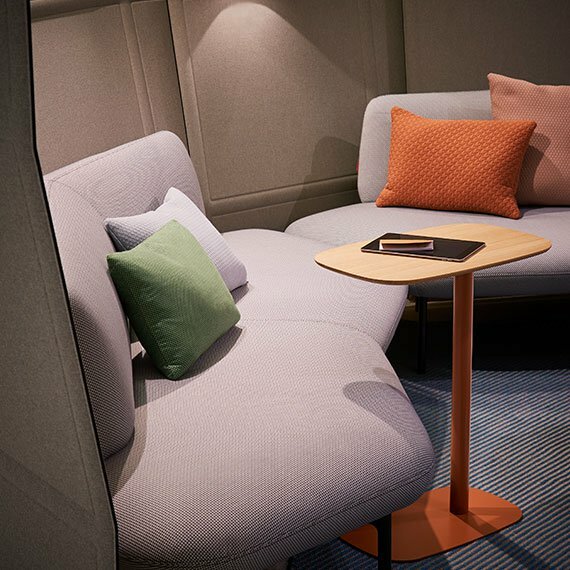 Its slim lines and warm, pleasing design allow it fit just about anywhere, complementing the environment while adding functional personal workspace.